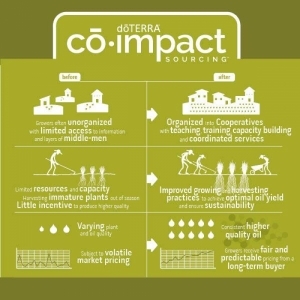 In addition to the fact that dōTERRA produces and offers essential oils of the highest quality, it is committed to the mission of providing positive effects on the lives of farmers, pickers and distillery workers, which contribute equally to the production process of dōTERRA essential oils. dōTERRA produces a total of more than 100 essential oils and essential oil mixtures obtained from more than 40 world countries, of which more than half of developing countries are third countries. 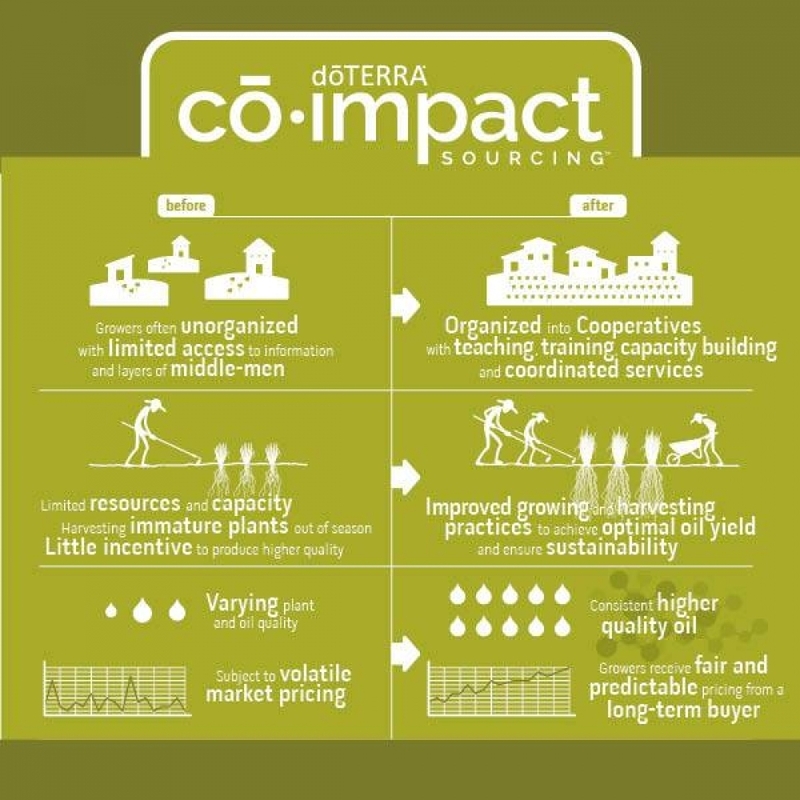 In the desire and assurance that the producers behave ethically, dōTERRA has established the Cō-Impact Sourcing® initiative. Cō-Impact Sourcing® develops long-term and mutual partnerships and provides sustainable jobs that provide reliable income also in underdeveloped areas of the world, which includes a fair and in time payments. It encourages farmers and other producers to create cooperative groups in which greater negotiating power can be developed to maximize the benefits of all participants in the production process while enhancing their capabilities and increasing capacity.